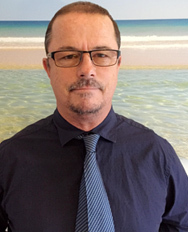 For the last 17 years Anthony Brown has worked in the environmental field with the Aqua Technologies Group and in private venture real estate. As a founding Vice President of Aqua Technologies, he located and facilitated the purchase and construction of the company’s activated clay filtration media manufacturing facilities in Casper, Wyoming. Mr. Brown has been instrumental in the design and manufacturing of complex water treatment systems used in environmental remediation, the oil and gas industry, manufacturing and commercial applications. He worked with the late Dr. Carl Oppenheimer and others to prove that activated clay could be bio-remediated in the filter without harmful by-process waste, a revolutionary achievement in the world of remediation. Prior to his involvement in the environmental field, Mr. Brown spent over ten years working on the technical aspects and facilitation of large-scale indoor and outdoor concerts. Mr. Brown attended the College of Charleston, Trident Technical College and Broward College. His wife and kids, along with surfing, music, the outdoors, and playing the guitar are his lifelong joys. 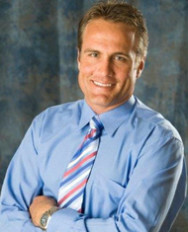 A Florida native who grew up in Ft. Lauderdale, Jeremy Stewart is a passionate businessman and surfer. He graduated from Cardinal Gibbons before moving to North Carolina to attend UNCW. He moved on to San Diego, Hawaii, New Jersey, and South Africa before settling back down in Palm Beach County. After years in the restaurant industry through school, and a decade in the yachting and sport fishing industry, Mr. Stewart transitioned into the real estate business. He utilizes his network of yacht owner, brokers, and captains as well as the vast network of South Florida professionals in his business today. Landing a spot within the organization of Carl DeSantis, head of Rexall Sundown, he learned the business from industry veteran, broker Merv McDonald, and currently works with them. Mr. Stewart has transacted well over $100M, including oceanfront homes, office buildings, retail, land sales and acquisitions, hundreds of leases as both landlord and tenant rep, and development deals. His passion outside of work is traveling the world in search of great waves and barrels. After graduating from Boston College in 1973 with a Bachelor of Science degree in Finance, William O’Neill moved to Southeast Florida and worked for the CPA firm of Ilowit, Ilowit, and Leventhal, then a few years later served as Budget Director for Harris Corporation in Fort Lauderdale. In 1978 the entrepreneurial spirit kicked in when Mr. O’Neill moved to Blowing Rock, North Carolina, to open a restaurant and lounge. In the early 80s he moved back to Florida to become a general manager in the hotel industry. His love for the industry has kept him in the business for the past two decades. Mr. O’Neill has managed large 300-room full-service hotels, small boutique resort properties, and everything in between. Under his tutelage, two of his hotel restaurants were ranked among the top 100 restaurants by Florida Trend Magazine. He also managed one of the top 100 hotels in the world chosen by Condé Nast Magazine. O’Neill has a Florida Real Estate and CAM license. His drive for success and tireless marketing and promoting efforts are a major part of his work ethic. His leisure interests include golf, college football, and the great outdoors. 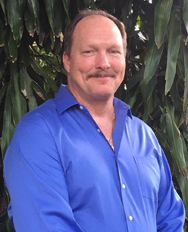 A Florida resident, Michael J. Lanigan is a successful hospitality professional and avid surfer, with an expertise in coastal real estate and development. He started his career in the hospitality industry at a young age working in construction and development and later attended the University of Denver, graduating with a dual degree in Hospitality and Business. He has spent the last decade working for one of the most successful and largest privately held hotel management and development companies in North America with a focus on prime oceanfront locations. With the company, Mr. Lanigan has managed several hotels and has been instrumental in implementing cost saving measures along with developing concepts for new projects. 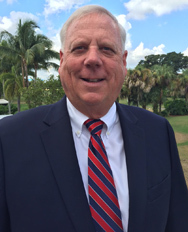 When Mr. Lanigan is not developing or managing resorts across the state of Florida and the country, you will find him enjoying the ocean, fishing in professional tournaments or surfing in various far-flung destinations around the globe. 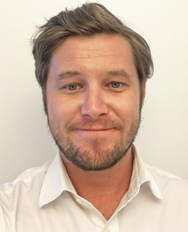 Greg Webber is from Avalon, Sydney, Australia, the second eldest of six boys. He started shaping surfboards in 1970 at the age of 10. In the mid-80s he studied science at the universities of New South Wales and Sydney in Australia for the express purpose of learning the principles required to build artificial reefs and wave pools. Unfortunately he couldn’t handle the slow pace and went back into surfboard shaping, and in the late 80s his team riders won the men’s and women’s world championships exclusively riding his equipment. Mr. Webber is renowned for the highly curved concaved surfboards that he developed in the early 90s, which became the standard hull contour for performance surfboards worldwide, and remain so until this day. He is regarded by his peers as the best surfboard designer in the world for his ability to see the surfboard from both artistic and geometric perspectives. He was the youngest shaper included in a leading surfing magazine’s top 10 shapers of all time. Recently Kelly Slater, the 11-time world surfing champion, began riding Greg Webber’s revolutionary highly curved surfboards in pro surfing events, and a collaboration surfboard will be released in early 2016. Mr. Webber’s passion for creating waves began in childhood, but in 1999 he perfected the technique of using boat wakes or Kelvin waves to not only create faultless hollow waves, but to change the shape of those waves with a high degree of control. 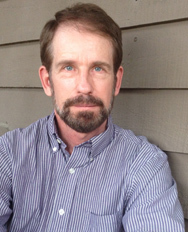 After earning his bachelor’s degree from the College of Charleston, David Moon pursued a twenty-year career in the field of arts management, with positions in accounting, administration, operations, marketing and information technology at an international performing arts organization, as well as serving as general manager for a professional theater company. He previously worked with Anthony Brown at Aqua Technologies, a company specializing in environmental remediation, where he provided administrative, accounting and marketing support. For the past three years Mr. Moon has served as accounting and operations manager for a software development company. He has been involved in community theater for many years, both as an actor and director, and also enjoys volunteering at a local animal shelter.